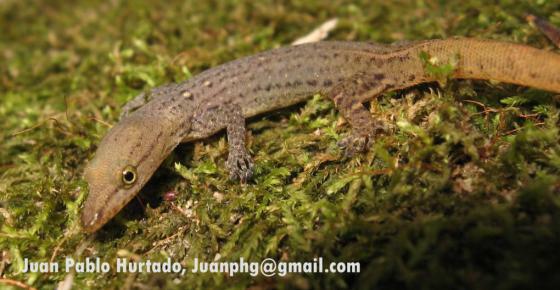 Can you confirm these amateur observations of Sphaerodactylus lineolatus? Types Types: ZMB 417; (restricted by Dunn, 1940). Paralectotypes: ZMB 3 6 2 9 7 k . Collector:J. von Warszewicz. Comment Distribution: According to Villa et al. 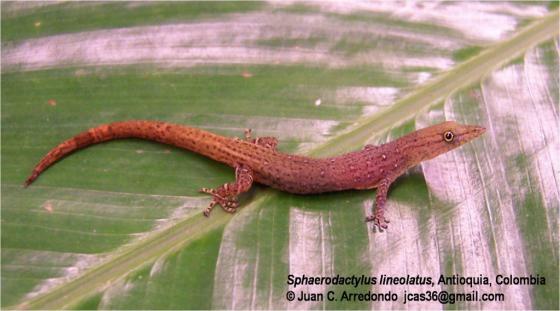 (1988), reports of lineolatus from Yucatán to Costa Rica are based on specimens of other species. See also Harris & Kluge (1984) for details. Stuart 1948 reported this species from Guatemala.